I can't believe we're already over a week into OCTOBER. Where on earth is time going these days? I'm sorry I've been a bit MIA recently. I had a come back a couple of weeks ago but then I started my new job and things have just been manic so I've lost my flow! I promise I'm back though. I've got some great posts planned for the next month in the run up to Christmas. 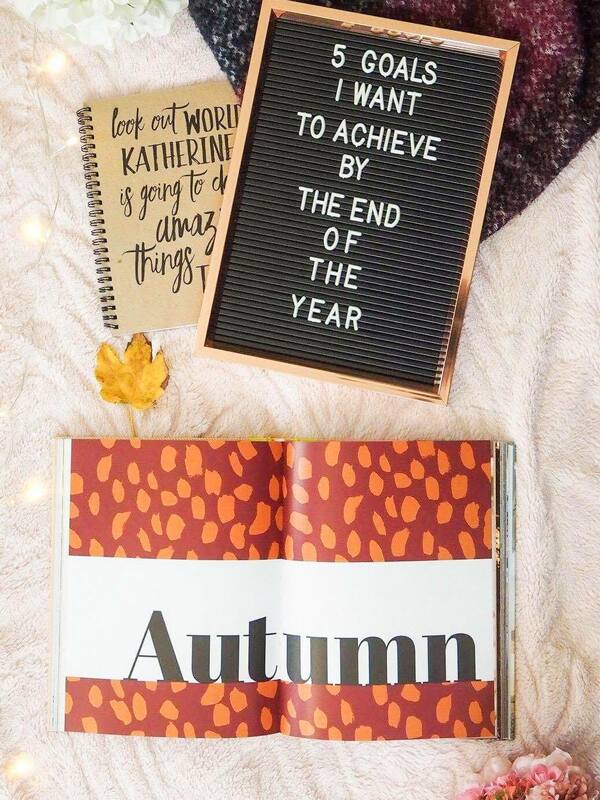 This is my absolute favourite time of year and I've spent the weekend planning my Christmas gift guide posts and giving the flat an autumn clean after spending the last month obsessing over 'Mrs Hinch' - if you know, you know. Anyway, today I want to share with you 5 goals that I want to achieve by the end of 2018. We've got 2 and a half months left of the year and I want to set myself some realistic goals that I stick to and I'm determined to stick to them. 1. Save enough money to put a deposit down on a house. Jay and I are currently saving for our first home together. We currently rent a 1 bed flat in Leeds which we love, however it's started to feel cramped now and I think we're both ready to move. We are aiming to review how much we've saved in early 2019 and then discuss our plans for the potential of buying a home next year. I need to be stricter on what I spend my money on and try and make more of a conscious effort to not spend it in the canteen at work or in Primark of a weekend!! 2. Reach 500 followers on Bloglovin. Do you think we can do it? We're currently only 18 away and I would love to reach that goal by Christmas. I love blogging so much and it's been a part of my life for the last 4 years so I want to keep at it and improve my content. If you have any post suggestions, please leave them below as I want to produce content that you'll love. I've got about 11 weeks until Christmas which means just under 3 months to make a change. I worked so hard early this year to loose weight and stick to slimming world and I saw the weight drop off and my motivation soar but after a few holidays and a new role at work I just got distracted by my goals. I've decided now that after joining a new gym which has a swimming pool, I'm going to make a change and stick to it. I want to stay on plan and get back in the gym. I'm going to document the process and my journey and I will hopefully be able to show you the changes to my body at Christmas. Please show some love and keep me motivated! 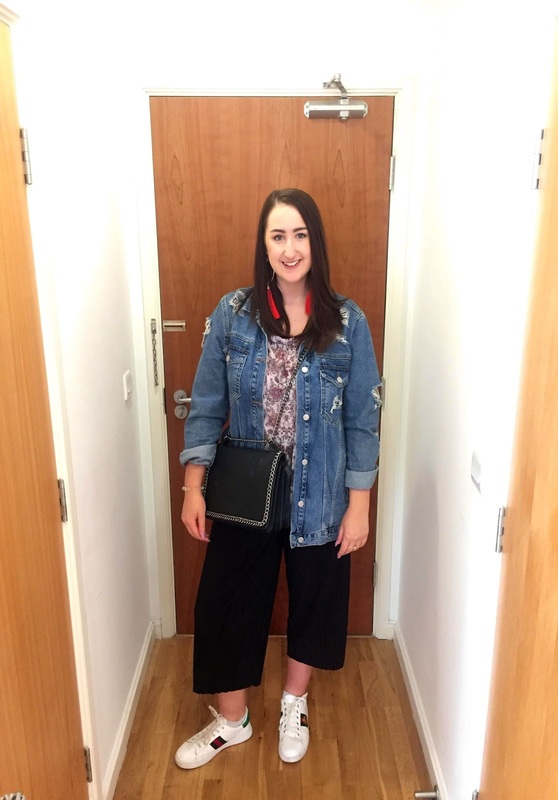 I try to have regular clear outs in my wardrobe, particularly because Jay and I share the smallest wardrobe in the world - my friends who have seen it will know what I'm working with, and it's not great! I always like to do a big clear out around this time of year to get me ready for a new season and so I can try and sell some things on eBay as they often sell in the run up to Christmas. As I mentioned, I've just joined a new gym which has swimming pool facilities so I want to try and incorporate swimming three times a week after work. What are the goals you want to achieve before the end of the year? Let me know below. Great post - these all sound like some good goals (and not too difficult to achieve)! I am a huge fan of writing down my goals because it definitely makes me more accountable. :) Thanks for sharing!